Searching for a Florida tax attorney? When it comes to the complex field of tax law, Howard J. Wiener & Associates, P.L. is a step ahead of the competition. Few other law firms are able to match the level of expertise offered by our founding attorney, who received his board certification in tax law from the Florida Bar almost 34 years ago. Estate taxes are levied on an individual's assets after he or she is deceased and has passed on his or her property to an heir or heirs. The laws governing estate tax vary by state. In Florida, these can be found in Title XIV, Chapter 198. In 2004, the requirement for estate tax in the state was removed. In 2017, an individual could give or transfer at death up to $5,490,000 without paying estate or gift taxes. Under the 2017 Tax Cuts and Jobs Act, these amounts more than doubled for 2018, jumping to approximately $11,2000,000 per person, or $22,400,000 for a married couple. The amount that an individual may protect from the Federal generation-skipping transfer ("GST") tax, a tax which is assessed when assets pass to grandchildren or the equivalent, will also be increased to $11,200,000 per person under the Act. If you did not file your Federal Tax Returns taxes, or were late in doing so, you could be subject to confiscatory Internal Revenue Service (IRS) penalties associated with late filed returns or unpaid taxes. We at Howard J. Wiener & Associates, P.L. understand that responsible and hardworking people can still experience financial problems due to business or family circumstances. There is a special program designed by the IRS to help taxpayers who are experiencing financial hardship. If you are under severe economic duress, the "offer in compromise" option may allow you to negotiate a lower tax payment. Offers-in-Compermise can also be an invaluable tool in reducing your Tax liability when we establish doubt as to liability. Call us to learn more. Many people are terribly intimidated by the idea of an IRS audit, but with our firm on your side, we can deal with a federal tax audit assesment, lien or levy confidently. We can handle most any tax law issues that could affect you. 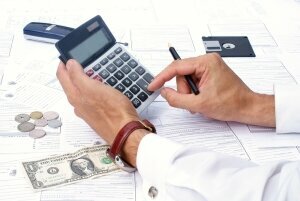 We can work with the IRS to reduce or eliminate your tax liability or structure a manageable installment payment plan. Our firm is up to date on all of the latest developments in tax law and the most effective tax reduction and asset protection strategies. We can help you protect your property by utilizing sophisticated techniques to avoid or reduce federal income, estate, generation -skipping transfer, and gift taxes. Call us today to learn more about how our tax planning services can benefit you. "I have always found Howard to be on the leading edge of what's going on in the world of tax and estate planning"
Need a tax lawyer? When you face a complicated tax issue or you have a matter that requires the expertise of a certified tax specialist, contact Howard J. Wiener & Associates, P.L. for experienced and cutting-edge counsel. Not every attorney has what it takes to put a shield around your assets or to effectively advocate on your behalf before the IRS. As the stakes are high, choose an attorney with competence and skill. Our boutique Tax Firm has what it takes to help you. Call today to schedule your initial case evaluation and learn more about how we are prepared to represent you.